Los Angeles native, DJ Mustard, is quickly becoming one of the most sought-after producers in the business. He has produced chart-topping hits for 2 Chainz ("I'm Different"), Young Jeezy ("R.I.P.") and Tyga ("Rack City"). Complex has also taken note, naming DJ Mustard one of their "25 New Producers To Watch Out For." While some have dubbed his signature sound as "ratchet," Mustard describes his beats as "undefinable." Says Mustard, "I just want people to hear my music and feel good; go to the club, dance, have fun, and get home safe…none of that gang-banging stuff." The New York Times has praised Mustard's sound, stating "it's made for some of the starkest and most vibrant hip-hop of the last year or two…booming and square, like well-sequenced jabs with no need for combinations." 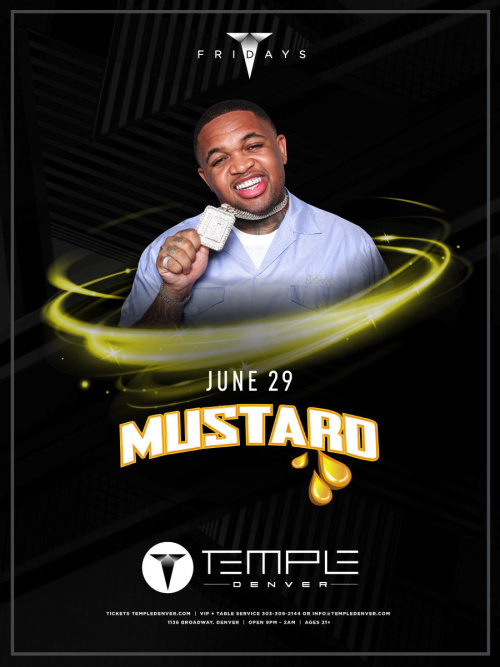 Mustard has not only been been inspired by his native L.A., but also looks up to producers such as Dr. Dre, Swizz Beatz, and Timbaland. He is currently working on YG's upcoming album, as well as singles for Ludacris and B.o.B.